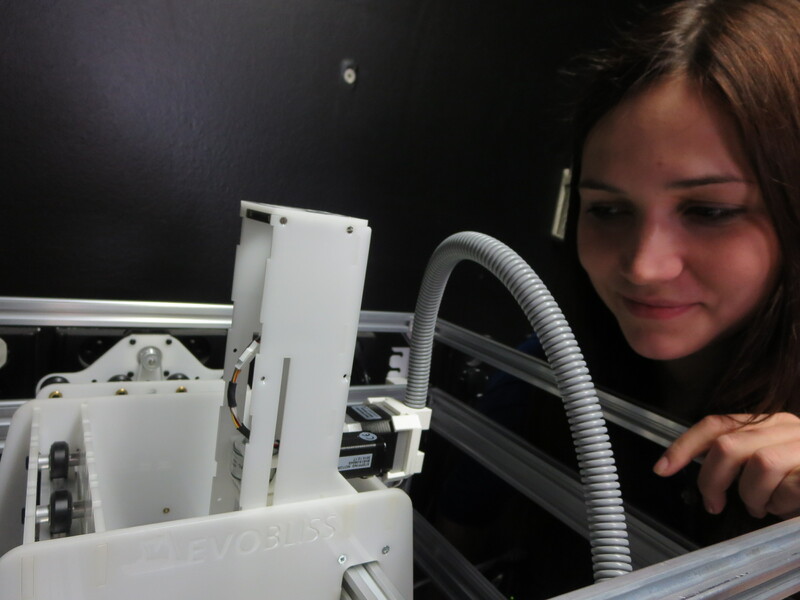 IT University of Copenhagen produced one Evobot that was shipped to the University of Chemistry and Technology Prague. The Chemical Robotics Laboratory (head prof. Frantisek Stepanek) will use them for droplet experiments. Students Petra Janska, Nguyen To Quyen an Dominik Svara under supervision of Jitka Cejkova will use them for studies of decanol droplet chemotaxis and collective behavior of populations of droplets. Previous PostEuropean Science Photo Competition 2015Next PostThe robots are taking over Copenhagen!